showing your work – what are your goals? So far I’ve mused about getting accepted into a show and about what local venues might be available to you. In my next post I’ll blab on about who I think attends those venues and I’d love to hear your views as well. But first…. 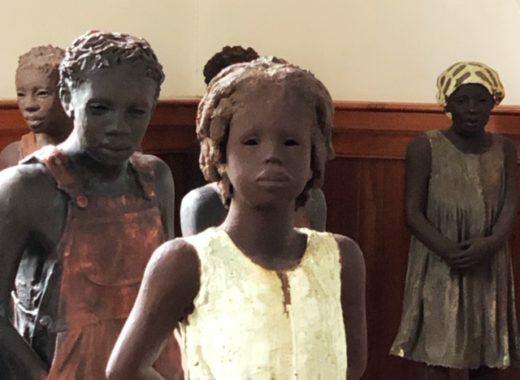 Let’s talk about WHY you are showing your art. Do you just want to share the beautiful thing you’ve created with the world? Would a blog or show and tell at your local quilt guild be enough for you? Do you crave a little recognition? What kind? From who? Are you happy with people oohing and aaahing and will you be devastated if they don’t like your work? Does your family not appreciate you and you just need to share with someone who understands this beautiful obsession that is making things with cloth? Do you want to be famous? Are you competitive? Deep down do you want to be the best at something? Would you be disappointed if you didn’t win and think it means that your work isn’t any good? Do you want or need to sell your work? Why? Are you trying to support yourself entirely through your art? Do you think sales justify what you are doing? Do you want to bring in enough income to cover your costs? 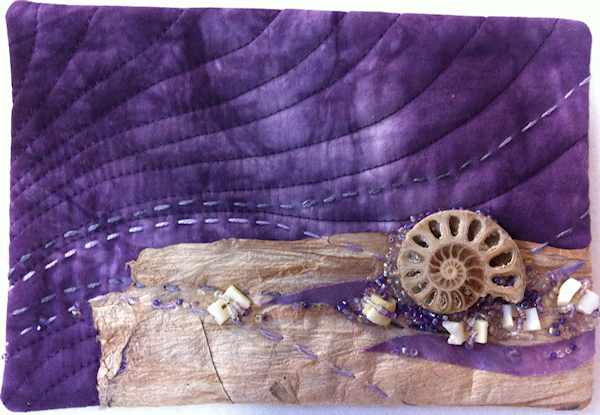 Is showing your work a stepping stone to something like breaking into the national quilt-teaching circuit? And now for a little rambling on. Feel free to skip this and go straight to the comments to tell me what motivates YOU! Every one of these reasons for showing your work has motivated me at some point. I know there are lots of other reasons and I’d love it (REALLY love it) if you’d share some of your reasons with me. My goals are constantly evolving so I am constantly coming back to reevaluate them. When I first started quilting I was just terribly excited to show people something I’d finished. I got really lucky and won a ribbon for my first quilt – in the “first quilt” category at the local quilt show. Then my old competitive nature snuck up on my and I really wanted to win ribbons. I think it was up through my second year of college that my world revolved around getting to play first chair horn in whichever orchestra I was in. Then I discovered how much fun some of the other parts were to play – and also how much less pressure there was involved. And playing my horn got a lot more fun. I also really loved cash awards as our budget was stretched very thin as it was. I used to skip lunch so I could go buy a fat quarter. It was really nice to win enough awards and have just enough sales to cover my fabric addiction. This is still one of my primary goals. Then I wanted to teach and was told that I needed to have my work seen by the national audiences and especially to win awards. Looking back I’m not sure that the quilt show circuit was the most efficient way to do this. (Someone speak up if you want a series of posts on how to get into teaching.) Anyway – I’ve evolved. Now, I think, I want to be recognized more as a fine artist than as a quilt teacher, although both titles make my heart sing. And way down deep, I think I still want to be famous – just a little bit. It’s an ego thing that I’ve always had and try to channel in positive ways. There is nothing like being applauded after a great performance and I guess that got under my skin a bit from an early age. Really, nobody recognizes or says “thank you” to all the mothers out there. There isn’t a paycheck or a performance review or a bonus when you finally get that stubborn boy potty trained. In fact, usually they just say, “it’s about time!” It’s quite a switch to fly out to a quilt guild where they treat you like a minor celebrity. Really, I do what I do because I LOVE making art with cloth and it makes me happier than anything to see students realize that they CAN do things they thought they couldn’t. That’s 98% of it. I will sheepishly admit that the “fame” part might possibly be the other 2%. And yes, I realize I am only well known in a very small art corner of a rather small quilting pond. But hey – quilters are still the nicest people I know. Lyric Art — showing your work – what are your goals? I started teaching so that I could support my habit. I do LOVE sharing what I know with others and I love when students have their a-ha moments. It really makes me happy. And yes, yes, yes! Please do a series about how to become a national teacher. I don’t know if I will ever pursue it but it would be nice to have the information. 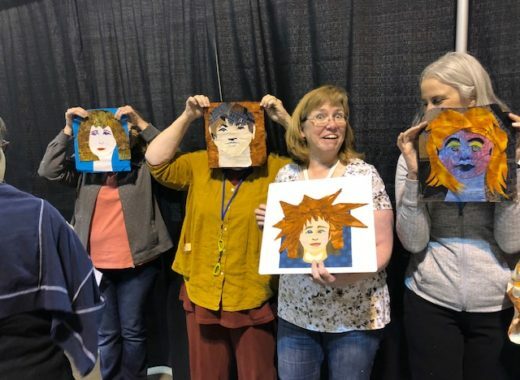 My friends at the quilt guild told me to enter shows as a way of learning. The judges notes are always very interesting and I try not to take them personally if they are negative. My goal this year is to Enter lots of shows and just get in! I think I could answer yes to every one of your questions,at some point in my eleven years of quilting. 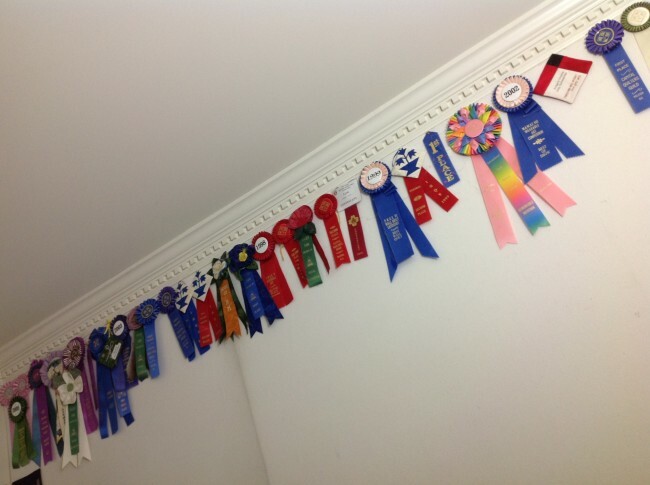 Winning ribbons was exciting in the local fair, entering quilt shows, giving gifts to fsmily and friends. Since moving away from all that was familiar my quest has changed, and my art. The bed and baby quilts have now become pieces of art. I think I am finally doing what makes me happy. Having a gallery display my work and sell it is more than I could ever imagine. I don’t think I will ever want to teach, but I enjoy giving a helping hand when asked. My biggest struggle is a need to learn more and being too far away to attend workshops. Lyric, I think you have made your mark and will continue to do so. I would love a series on how to get to be a teacher. I’ve done some teaching but I am reluctant to self- promote, which I think holds me back. ok – I’ve put it on my list of draft posts – which knowing myself – means perhaps some time in the next year I’ll get to it. I’ve got a good outline though. 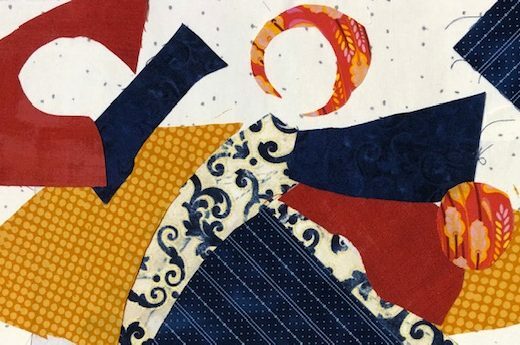 There is a great deal of satisfaction in manipulating textiles into a work of art, a quilt, a wearable garment, something fresh for the home, or even just something one enjoys to look upon. Maye a special memory pushed us into creating, or maybe something someone saw or said. Inspiration abounds all around. However motivation is different. It is totally from within inspired by our faith. 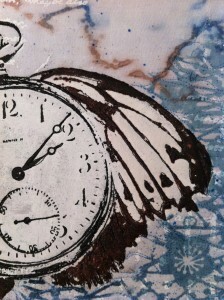 It is the pure joy of the process that motivates me to create. I love to play and most of the time I do not care about the outcome, it is the process that thrills my soul. I am not motivated by competition, cash awards, critiques by others, but rather the joy in being able to create. A lot of the reasons you mention are motivators for me across all areas of my life, as well as my art–competitin, recognition, validation. My work is often based on environmental themes of the Pacific-northwest. I usually decide pretty early on the purpose of a quilt. Is it an experiment? If so, i feel I have permission to try things without worrying about the outcome. Once in awhile one of these pieces evolves into a show quilt, but not usually. Other times I have an idea that I want to commemorate or share with the world–like the removal of the Elwha Dam, the death of an iconic orca in Puget Sound, the shooting of Gabrielle Giffords and 18 others–and I set out to make a show quilt. Declaring to myself that I am making a show quilt is good for me–it keeps me working to deadline, and raises my level of workmanship. I love to create. Usually I give away the things I make, but I would like to sell them so I can support myself creatively and have money to donate to charities.